Preen Line’s black crepe de chine Sibyll skirt offers an easy way to tap the label's arresting aesthetic. 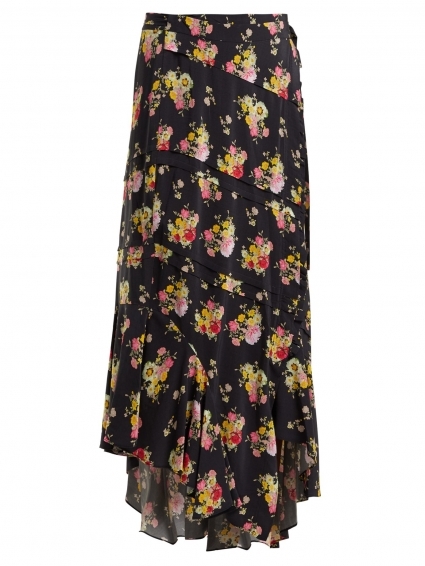 It's shaped with a high-rise waist that secures with a wrap-around tie, tiered pleats and a fluted hemline panel, and is printed with vibrant pink, yellow, red and white florals. Try styling it with the Sofia statement blouse in the same print and sculptural heels.